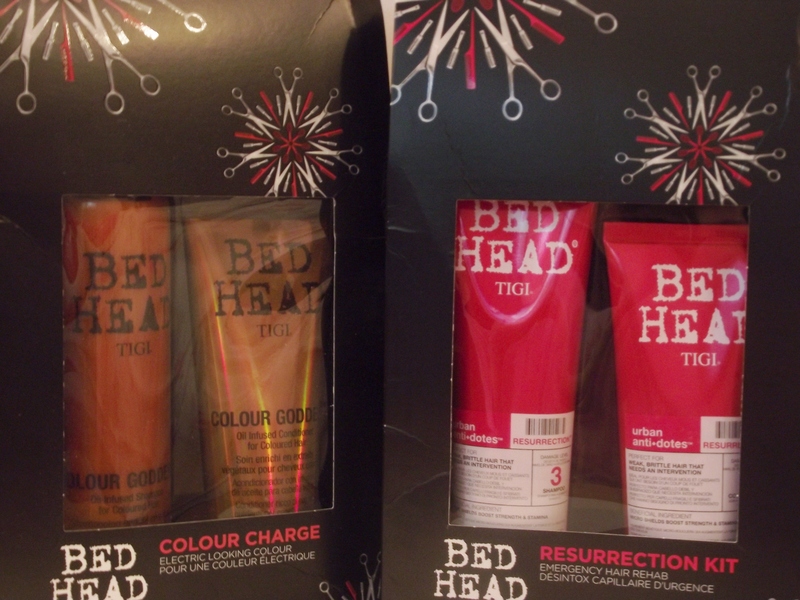 I think if you’re going to give hair care as a Christmas present, Tigi is one of the best brands to go for. Most people recognise Tigi because it’s sold in a lot of salons so they know it’s a quality product and there really is a gift for everyone in Tigi line. The brand has recently launched their Christmas gift sets and I have a couple to show and some information on other sets available. I have the Resurrection Kit which is the shampoo and conditioner duo of the Urban Antidotes in Level 3. I think this would be a perfect gift for someone who already uses the duo or maybe for someone who needs to give their hair a little bit of TLC after colouring and heat styling. It’s priced at £18.95 but the products are worth £24.95 and it’s available from here. I also have the Colour Charge Duo which is the shampoo and conditioner for coloured hair. The products contain sweet almond oil to nourish and smooth the hair cuticle. Also the products smell like caramel. It’s priced at £19.95 but it’s worth £29.90 and it’s available from here. There are also a couple of other gift sets in the line. First is the Party Girl gift set. It’s priced at £29.95 but it’s worth £45.85. It contains full sizes of the After Party which is a frizz smoothing cream, a full size Headrush which is a shine spray and a full Masterpiece hairspray. It’s available from here. 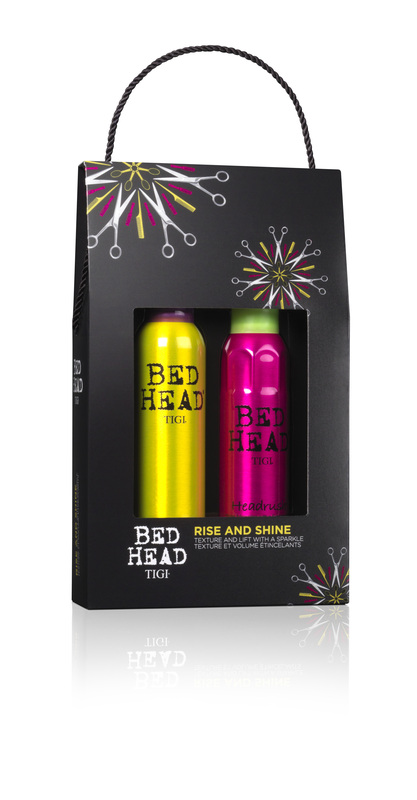 The last gift I have to show you is Rise and Shine which as the name suggests is designed for achieving big hair. It contains a full size Oh Bee Hive Dry Shampoo and a full size Headrush Shine Spray. Together both products are worth £29.90 but the gift is priced at £19.95. It’s available from here. The brand has a few other gift sets, I really think there is a hair set for everyone from Tigi. Look Fantastic has all of the gift sets I think so I really recommend checking out the site.